Looking for a Christmas gift for that special someone? 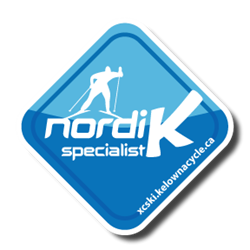 You can purchase and receive your Telemark Gift Certificates without leaving your chair. Choose any combination of X-C skiing or snowshoeing passes, rentals or lessons. Prices on our website include all taxes. Call 250 212-0704 or email us at gm@telemarknordic.com to order certificates. We will deliver them to you via email. Hello, we are having a few families over for a new years eve party and thought it would be fun to all head out before to cross country ski or snowshoe beforehand from say 6 to 9 pm. I guess my main question is are you open in the evening on new years eve for trail use and/or for rentals of equipment. Thanks very much.